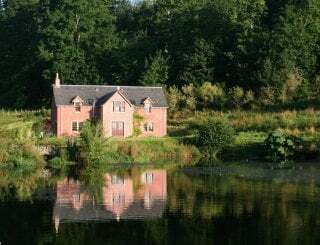 Kames Castle Cottages, Port Bannatyne, Isle of Bute, Scotland, sleeps 2-34 in 16 bedrooms. 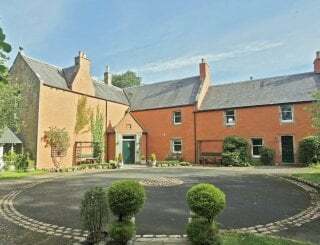 Available with exclusive use of all cottages on the estate. 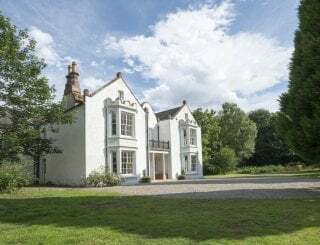 Kames is a small private estate comprising 7 cottages located in 20 acres of private gardens and woodland, nestled beside the beautiful coastal location of Kames Bay on the Isle of Bute. 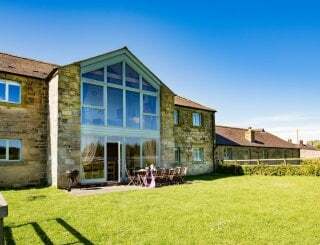 This stunning collection of recently renovated properties, surrounding a 14th century keep, provides flexibility and choice for all kinds of friends, families and multi generational bookings. Living areas are modern and comfortable with ample seating for the number of guests accommodated in each cottage. Each lounge has a log burning stove and a TV to make cosy spaces for socialising and relaxing. Kitchens are well equipped and 6 cottages include a dishwasher for your convenience. Clutha has dining for 9 if you are looking to enjoy a special meal together and the owners can arrange for outside caterers to come in and prepare it for you. Alternatively there are barbecues outside each property which opens the door for some al fresco eating and socialising. Bedroom accommodation across the cottages offers a mix of doubles, twins, singles and bunks giving choice to all groups. Bathrooms facilities are plentiful with over bath showers, showers, baths and en suites. 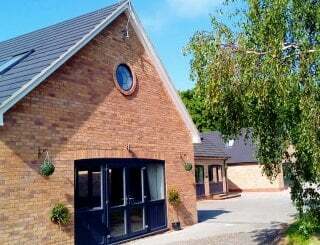 5 of the cottages have only ground floor accommodation, making them popular with less mobile group members. 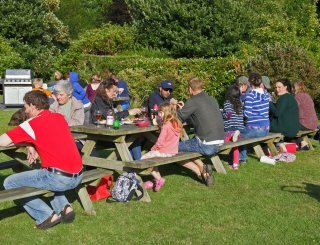 The grounds offer fabulous lawned areas where youngsters can run around to let off steam. 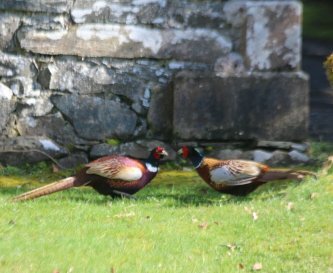 Visitors can enjoy a game of all weather tennis or putting before enjoying a wildlife walk around the estate where they may spot roe deer, hedgehogs or some ancient trees. The 2 acre 18th century walled garden has a glorious glasshouse containing lemon trees and aged vines. 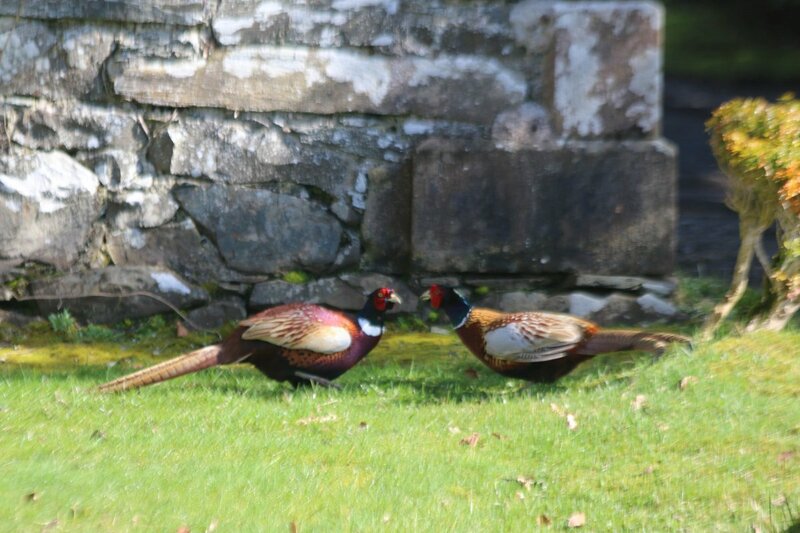 Explore the lovely Isle of Bute, and take advantage of the many opportunities for fishing, walking, riding, golf and sailing right on the doorstep. Bute Museum is also worth a visit, just 9 minutes away in the island capital of Rothesay. All kitchens are well equipped to include a washing machine and microwave. 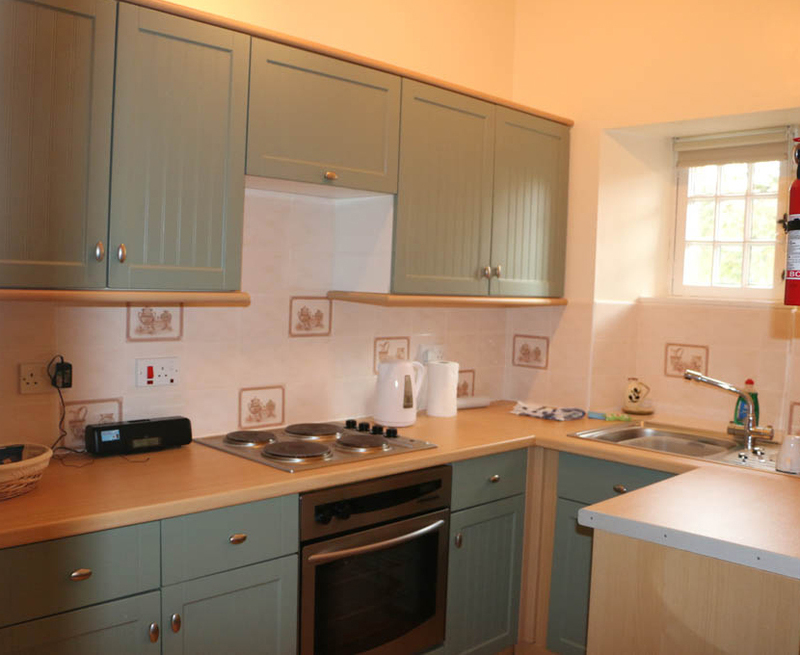 A dishwasher is available in all but the smallest cottage (Gate Lodge). Dining for 9 in the largest cottage Clutha. Al fresco dining in barbecue areas. Each cottage has comfortable seating for the number of guests it sleeps, and a log burning stove. Also TV and a DVD player. TV and DVD player in each cottage. There is WiFi in 4 of the cottages. No games room but there is an all weather tennis court, putting green, football nets, tumble tower and croquet. Each cottage is centrally heated with a log burning stove in the living room. A log store of wood is supplied for use during your stay. 16 bedrooms - 10 double beds, 5 twins, 2 singles and 1 set of bunk beds. 8 bathrooms in total. 2 have bath with overbath shower; 1 with bath and separate shower; 1 en suite shower. All of the cottages boast ground floor accommodation. Travel cots and high chairs are available on request. 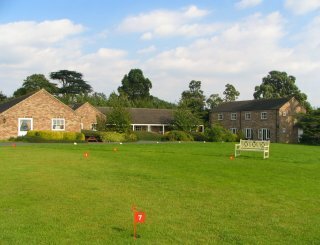 There is an all weather tennis court, putting green, football nets, tumble tower and croquet. 20 acres of lawn, woodland. Football nets, putting green. Wildlife area and glasshouse (being renovated) in beautiful walled garden. Barbecue areas. There is ample secure parking on site. No smoking please in any of the cottages. Max of 2 well behaved dogs in 4 of the cottages but must not be left unattended. Isle of Bute takes just 90 mins from Glasgow on ferry. 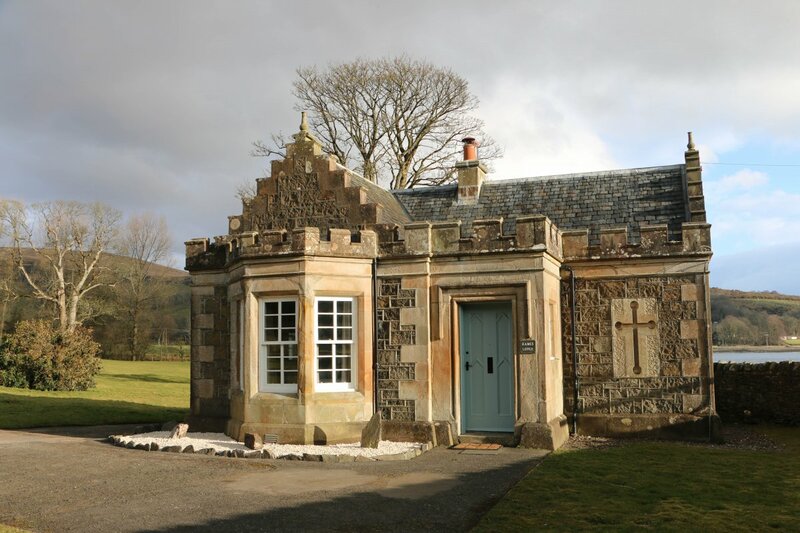 Kames Castle Cottages are in Port Bannatyne, 9 minutes from the resort of Rothesay. Port Bannatyne is a small coastal village with a small yacht marina and a boatyard. 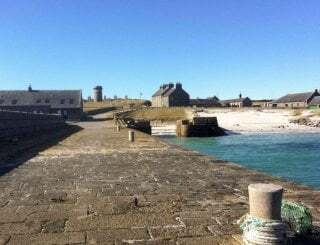 It is 4 minutes away from Kames Castle Cottages. 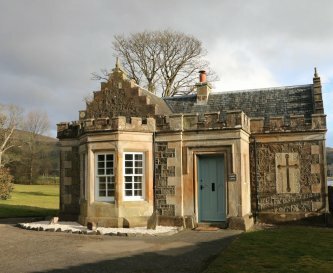 Post office in Port Bannatyne and other small local stores, 4 minutes from the cottages. 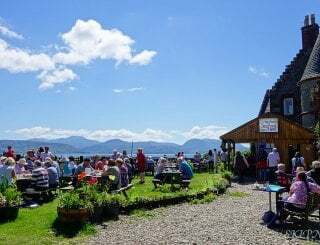 There is a teashop in Port Bannatyne and a variety of eateries in Rothesay to suit all tastes. Sample prices only - please enquire. 30% deposit is required to secure the booking with the balance due 6 weeks before arrival. Changeover day is Friday. Check in after 4pm and check out before 11am. The owners reserve the right to ask for a security deposit prior to arrival. Weymss Bay is approximately 1 hour from the cottages. 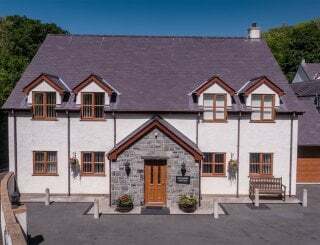 Glasgow Airport is 90 minutes away from Kames Castle Cottages.